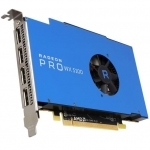 The Radeon Pro WX 5100 workstation graphics card is designed to be ready for the game engine revolution in professional design workflows. Game engines (such as Unity and Unreal) have become more commonplace in today’s immersive computing era, integrating themselves alongside traditional CAD applications like Autodesk, Siemens PLM and SolidWorks. Bring your designs to life with the new Radeon Pro WX 5100, the fastest 75W TDP workstation card in the world1. 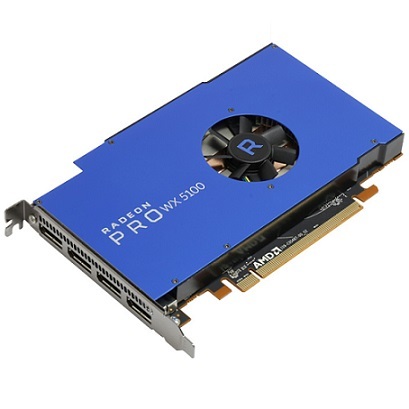 • Based on the latest Polaris GPU architecture, the Radeon Pro WX 5100 features 28 compute units (1792 stream processors) and 8GB of GDDR5 GPU memory with a 256-bit memory interface. 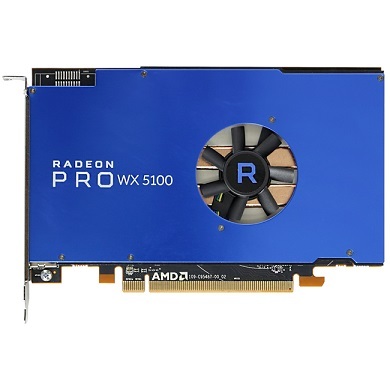 It delivers the power and features to unleash your creativity on applications like Siemens NX, where the Radeon Pro WX 5100 delivers up to 41% more performance than its nearest competitor, the NVIDIA Quadro M2000.